I think somebody had sometime to kill on a storyboard on this animated short film. Usually when limbs go flying all over the place the budget to produce it flies even higher. I guess that's why they used animation instead of the plain old live action actors. 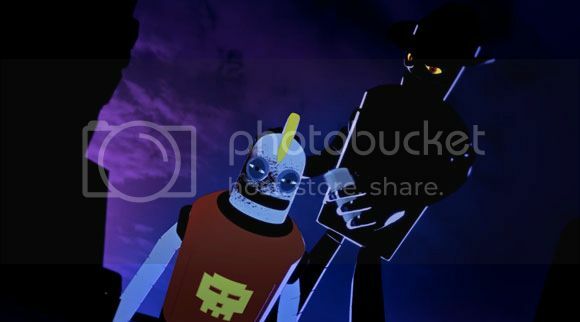 The "Dark Vessel" features robot characters that I think are related to Futurama's Bender. And for some reason they kind of act like him too. Anyways, it's a great way to waste around 5 minutes of your boring life.